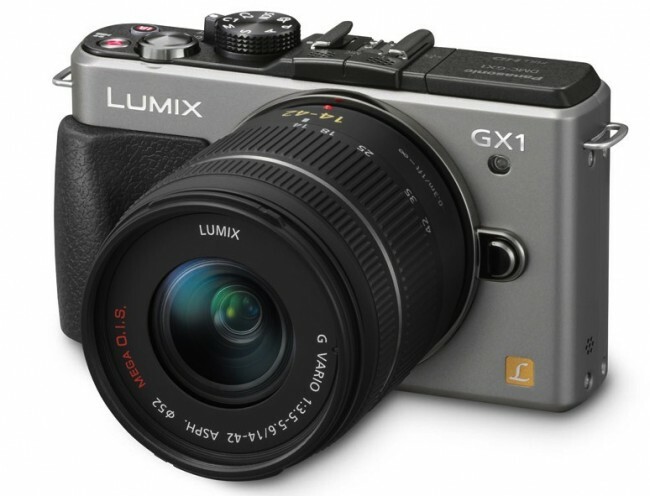 Panasonic has announced the new LUMIX GX1. The new camera has an interchangeable lens system and is capable of capturing images at 16 megapixels, 16.01 to be precise. 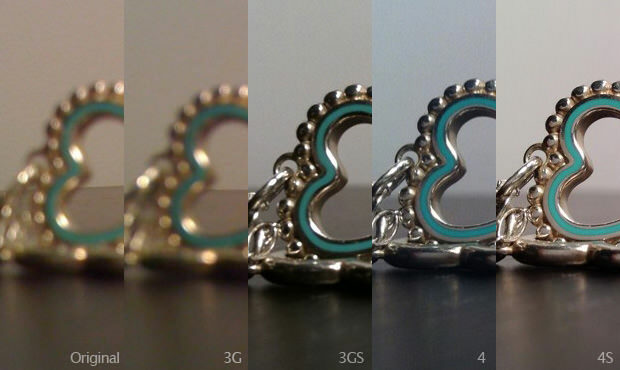 If you want to know how the camera in the iPhone has changed since launching in 2007, take a look at the comparison shots below. What we see here are five generations of iPhone cameras which start at the original iPhone and then on to the iPhone 3G, 3GS, 4 and finally the new 4S. It’s quite amazing to see how Apple has managed to improve the quality as much as it has in just a few years. 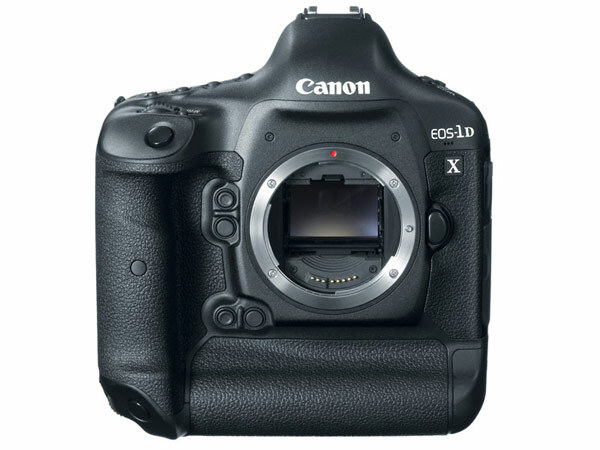 As expected, Canon has announced a new digital SLR camera called the Canon EOS-1D X. The new camera is very similar in design to the 1D model but has a lot of different tech packed inside the body. Rumours are showing that Canon will be launching a new digital SLR camera tomorrow. What that camera will be is the main unknown at the moment. Canon Rumors is hinting that the camera could be new in the 1D series of DSLRs. Some technical specs of a new camera from Nikon have surfaced. 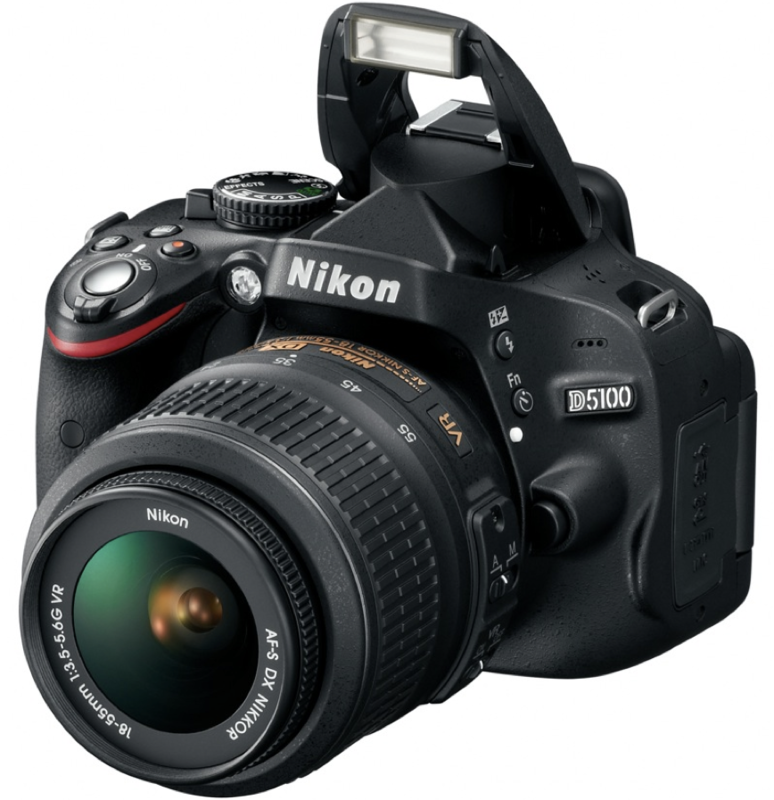 The new DSLR camera is expected to be the Nikon D800 and when it launches, it will have a 36 megapixel sensor. The Nikonrumors site puts a 99% probability on this bit of information. The picture below shows a camera attached to a CineSkates camera mount. CineSkates™ are a set of three wheels that quickly attach to a tripod and enable fluid, rolling video in an ultra-portable package. 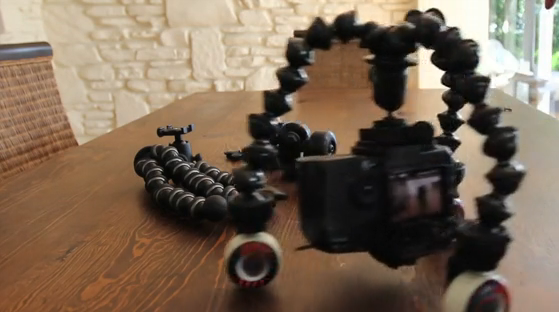 Watch the video to see what they are capable of… CineSkates were used to film it! Microsoft has released a codec pack update for Windows 7 that can read RAW format images captured on 120 digital SLR cameras. 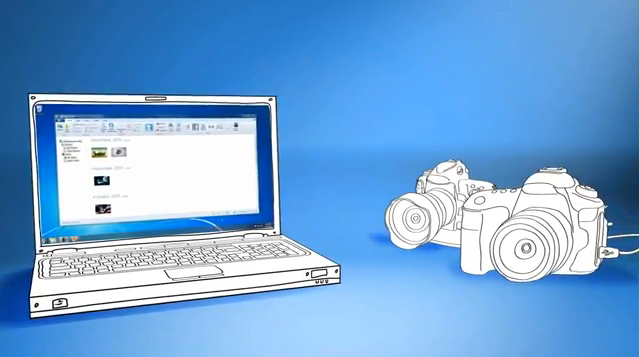 When downloaded, the new codec allows users to use Explorer or Photo Gallery to view the images. Prior to this update RAW format users had to use other 3rd party software to quickly see the images. Sony has announced the Sony Alpha A35. 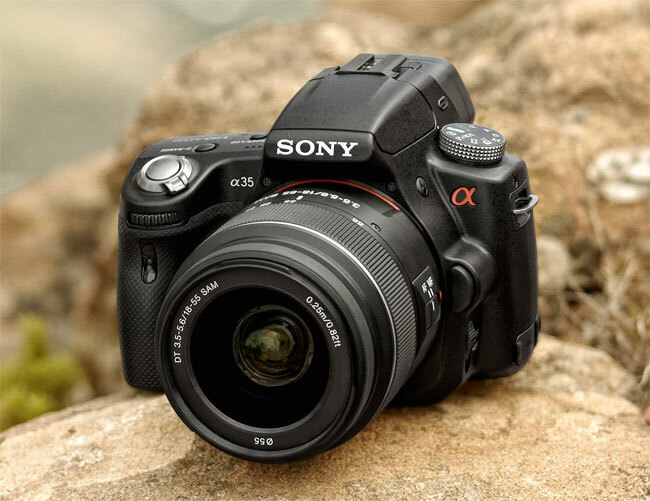 The A35 is a DSLR camera that has a 16.2 megapixel Expor APS HD CMOS sensor. The camera uses Translucent Mirror technology that allows for continuous auto focus on still images as well as when capturing video. 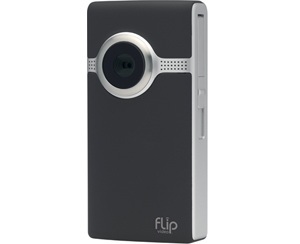 You are probably more than aware of Flip cameras. Over the last few years, the company behind the camera became quite popular in the blogosphere due to the cameras they created that could easily connect to a USB port on a computer transfer captured video to YouTube and other video services. 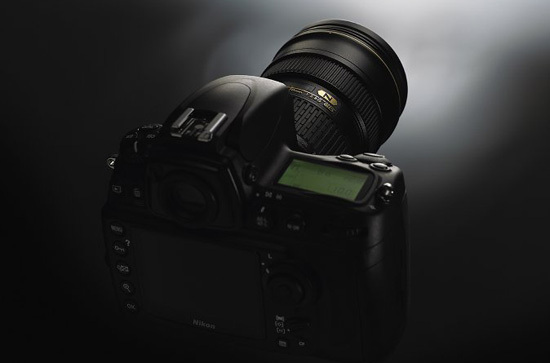 The D5100 is a new digital SLR from Nikon that has been described as being for the advanced beginner. The camera is a successor to the older D5000. The D5100 can capture both still and full HD video at 1080p. When capturing in full HD, you have the option of 24/25 or 30 frames per second. On the back you’ll find an articulating display that measures 3 inches (about 921k dots) and is capable of relaying Live View. The popular Instapaper app for iPhone and iPad has received a major update today. 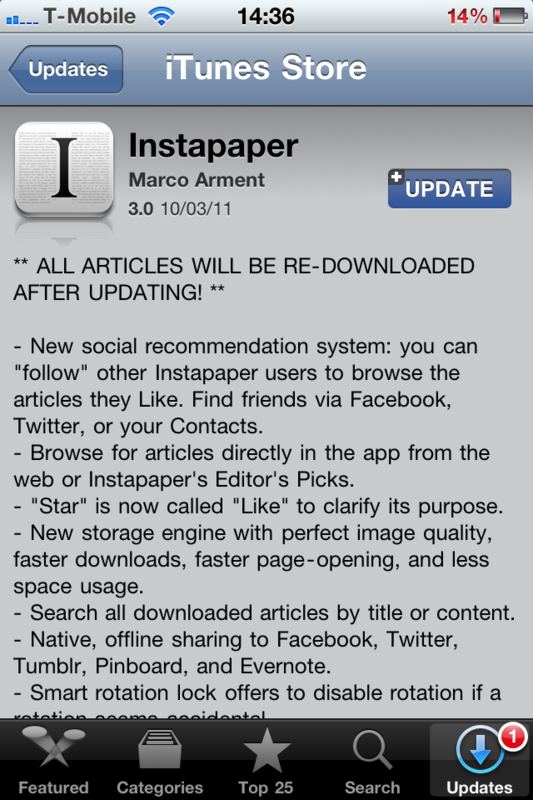 The new version is 3.0 and it brings a number new features that according to the developer, makes it the largest Instapaper update to date. 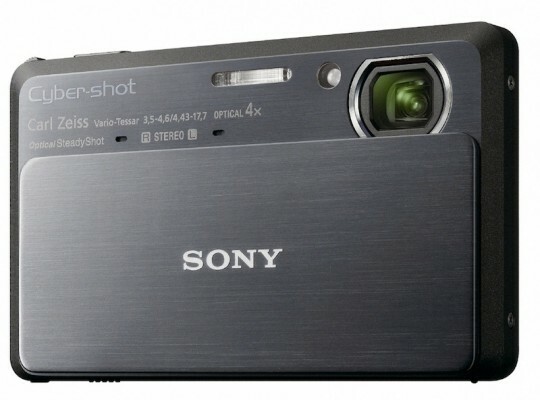 We received info today hinting that Sony could be looking at introducing 3G connectivity in to a new CyberShot camera. In doing so, it would allow the camera to be cloud based so to speak. The 3G enabled CyberShot digital camera would work in a similar way to how a camera with an Eye-fi card works in that pictures are captured and then transmitted to an online storage area such as Flickr or an FTP account. By bundling in a 3G connection in the camera, it bypassed the need to be in a WiFi enabled area and thus, becomes a lot more convenient.